Cricket has been played in Guernsey since the late 19th century at Elizabeth College, and the MCC has been known to visit the island annually since the latter part of that century. The start of the annual inter-insular matches between Guernsey and Jersey can be dated back to the 1950’s although matches between local teams date well before the more formal inter-Island games began. The Guernsey Cricket Association was founded in 1927 and there are now over 30 clubs, some running as many as four teams, playing in either local league cricket or organised friendlies, some against visiting teams to the Island. There are currently four grounds with grass wickets and 10 grounds with artificial wickets on the island. All 15 junior schools and 5 secondary schools play cricket with school visits and tournaments arranged by Guernsey Cricket. From a part-time Development Officer in the 1990’s, the GCB currently employs 4 full-time and 1 part-time staff across coaching, grounds and management duties and has its office at the KGV Playing Fields. Guernsey joined the ICC as an Affiliate Member in 2005 after having previously been a member 'county' of the England & Wales Cricket Board (as part of the Channel Islands Cricket Board along with Jersey) since the mid-1990s. In July 2008, Guernsey was awarded Associate Member status. The Guernsey Cricket Board (GCB) is the body that has sole control of all ‘things’ cricket in the Bailiwick. 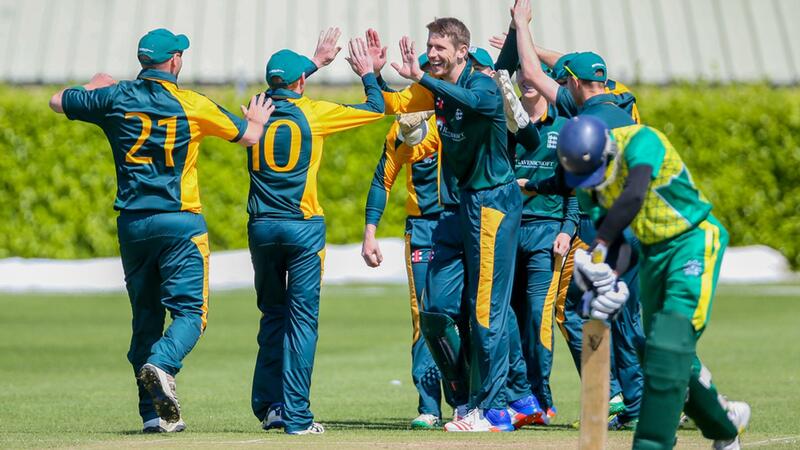 Since 2005, Guernsey have been involved in various international one-day and t20 tournaments since competing in their first tournament in Glasgow in 2006. Guernsey currently competes in the Pepsi ICC World Cricket League (50 overs) winning ICC WCL6 in 2011 and in this current cycle gaining promotion from WCL6 to WCL5 of this structure. Junior Cricket Development on the Island remains an ongoing priority with representative cricket running from U11 through to the U19. Players enjoy access to group and one coaching sessions on Island, in Sussex with our County Partners Sussex County Cricket Club and abroad at camps around the world. The GCB Schools Cricket Participation Programme offers players of all ages and abilities the chance to play cricket through coaching sessions providing small-sided games and fun activities. Womens & Girls cricket continues to grow on the Island with a full programme of fixtures and training opportunities available throughout the year. The Inclusion Programme is aimed at providing opportunities for special needs groups and an award winning Table Cricket Programme runs in local care homes. All of the above is underpinned with a quality local Coach Education Programme.